It wasn't the most ideal kind of a day but that doesn't matter when you know someone who works for the most recognizable chopper company in the world. Lets call it a "backstage" tour of the facility where they build these amazing works of art. 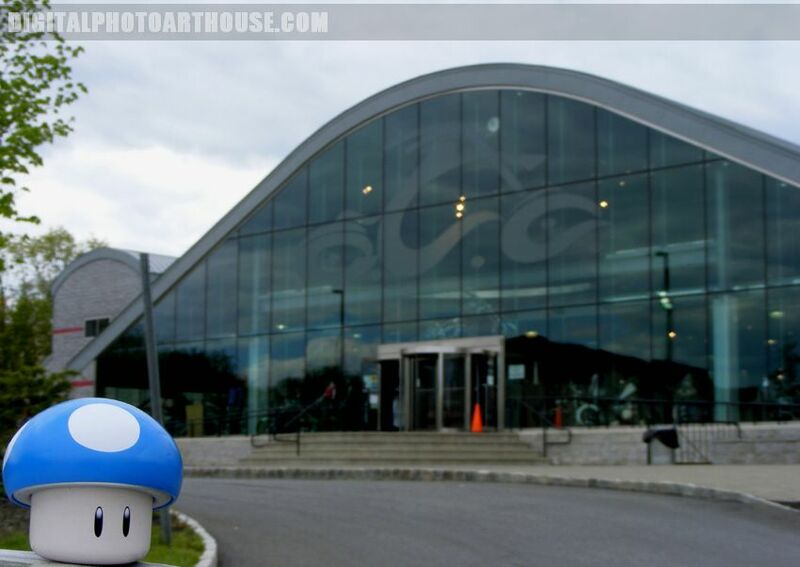 To walk around the facility and see where the "magic" happens was an honor. It was kind of funny to see how TV makes the facility look like a large warehouse. In reality the facility was probably the size of a large car wash with a second floor. The only unfortunate thing was that this happened on a Saturday and there was no one working at the time but it was still cool to just get the tour. 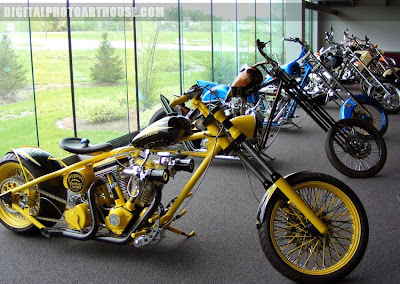 American Choppers was the first reality show of its kind and really set the guidelines for most of todays reality shows. Perhaps some of the interviews were scripted to a certain degree but its confirmed that the drama between senior and junior was very much real. 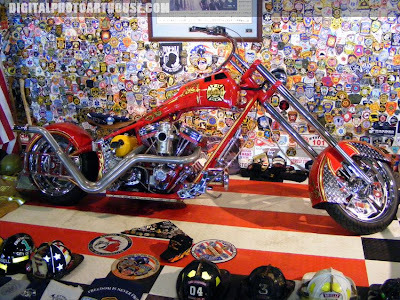 The First Chopper we were shown (which anyone can see in their store) was the tribute to fire fighters. To be allowed to sit on top of this bike was an honor in its self. 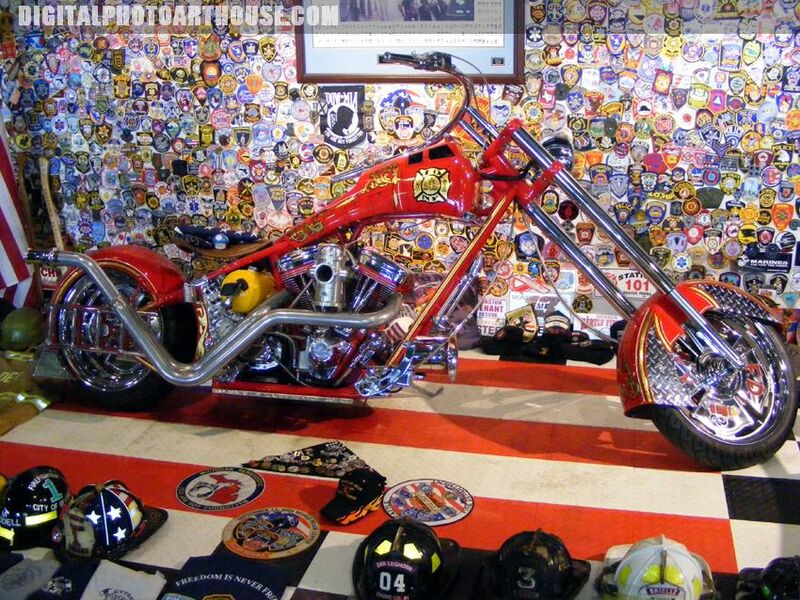 All the donations of patches and paraphernalia was overwhelming which is way this bike was in a section of itself. The next chopper we had the honor of sitting upon was the Live Strong bike. The last bike we visited was more because it had to happen. 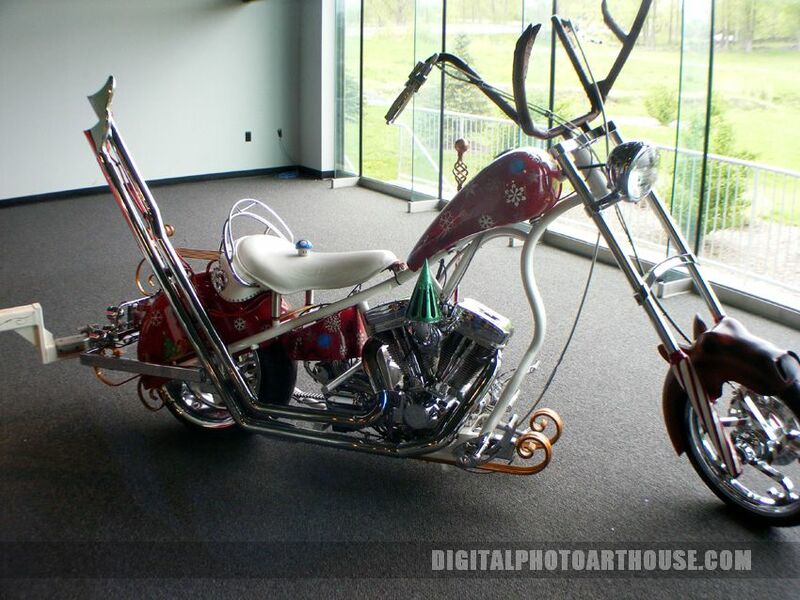 One of the most recognizable bikes they did was a Christmas bike they did for charity.